Contact us for all of your bus charter needs to and from Gillespie, Illinois. Our professional staff is ready to assist you in making your travel plans! With an extensive fleet of charter buses, Windstar Lines is your premiere choice for transportation to and from Gillespie, IL. Our charter bus options include 56 passenger luxury motorcoaches, 21 passenger minibuses, and VIP sleeper motorcoaches for the ultimate ride in style and comfort. We are here to make your travel needs stress-free by helping you plan your trip and provide you with a professional driver and a comfortable ride. Our charter buses are perfect for corporate events, airport shuttle services, trips to the casino, family reunions and sports teams. Whatever the event or occassion, we are your first choice for excellent service and convenience. 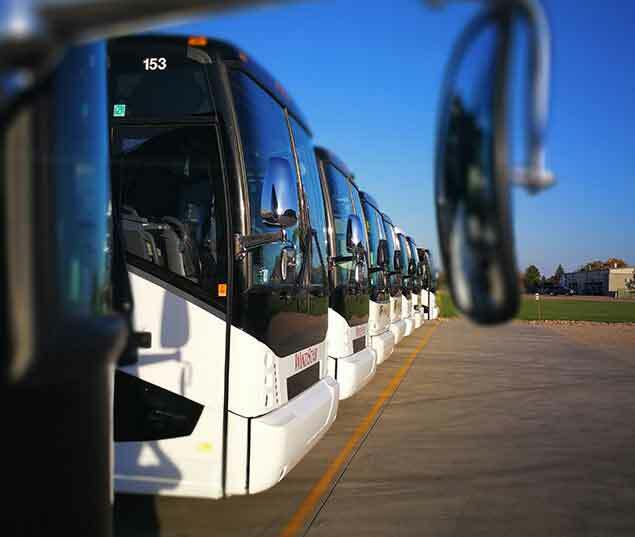 Give Windstar a call today for all of your motorcoach and bus rental needs in Gillespie, IL! All of our charter bus drivers are licensed, trained and dedicated to following all state and federal laws. They work to put you at ease in your travels and make you comfortable on your trip. Contact us today to book your next charter bus trip!